After posting pictures of the after-effects of a cowl strike at HelicopterEMS.com more than once, I had hoped that maybe we could stop having these incidents. I heard about another cowl strike yesterday. The crew was in a hurry to get back in service and capture a flight. Their walk-around was rushed. 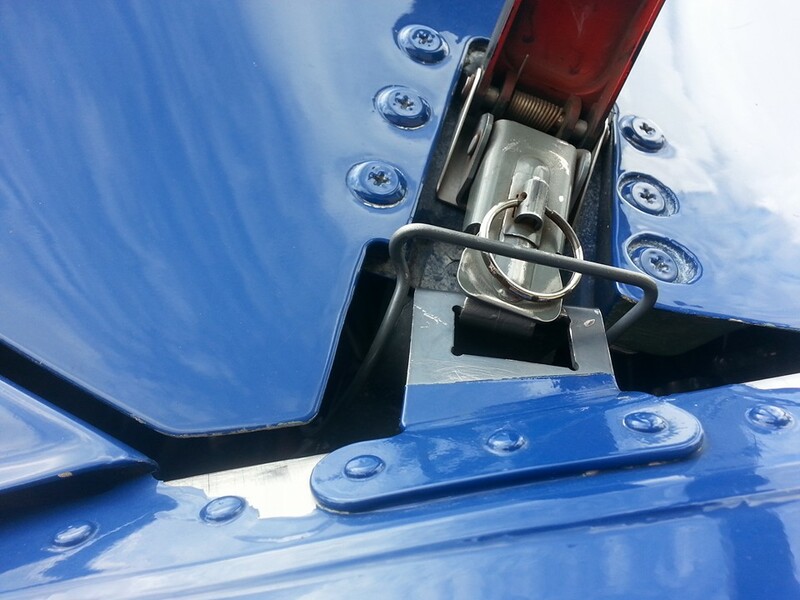 This is a common Airbus/Eurocopter/Aerospatiale cowling latch in the open position. 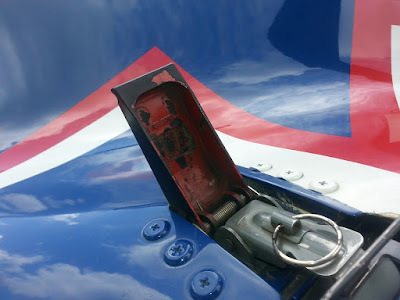 These latches have been linked to several cowling-blade strikes. Below, the cover is secured. Is the metal buckle secured? The buckle below is folded/collapsed - but not secured. See anything missing inside the cover? Below, this cover is secured. The metal buckle is not. 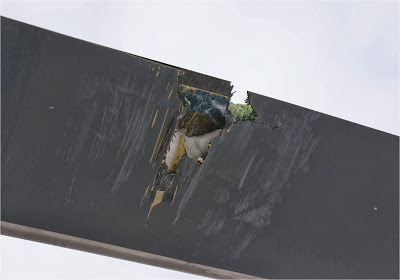 This cowl could/will come open in flight, could damage blades, and may cause a crash. 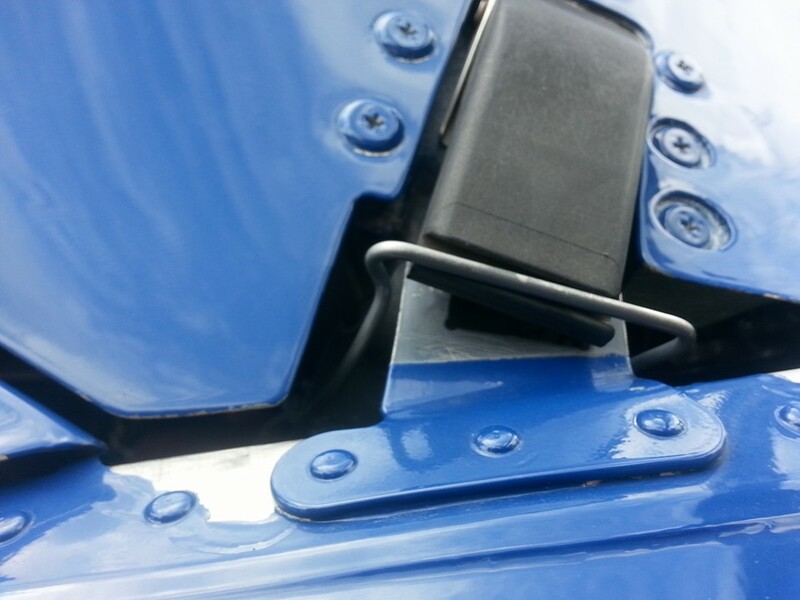 The plasic cover could be closed over an unsecured metal buckle because the small square of rubber which is supposed to be glued inside the cover falls off. It's a small detail and easy to overlook. Look at the first picture to see the rubber spacer installed. 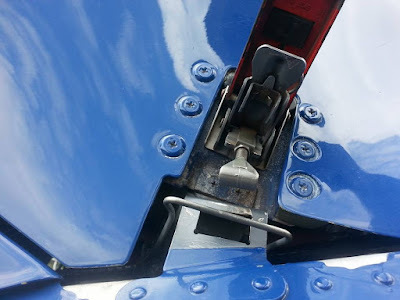 To see if these latches are correctly fastened you have to look underneath the cover. At night you need a flashlight. No crewmember or pilot should ever climb in without carefully checking all of these cowl latch assemblies. 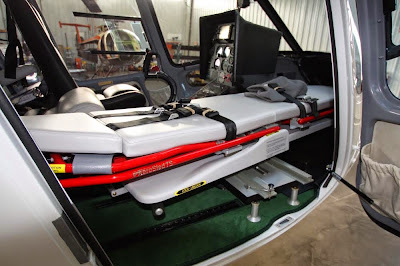 Every citizen derives benefit from the availability of a helicopter ambulance. There has been plenty of press lately about patients struggling to pay balances due for transport by HEMS. Monroe County Florida elected to provide a benefit for tax-paying residents - no balance due beyond what a patient's insurance company pays. No insurance? No balance due. This model could be adopted by other counties - even counties unable to create a HEMS service - through preferred-provider agreements. As HEMS companies do not pre-qualify patients for ability to pay, and stand ready to offer lifesaving services to anyone who needs it, it follows that all residents should help shoulder the financial costs of making such services available. 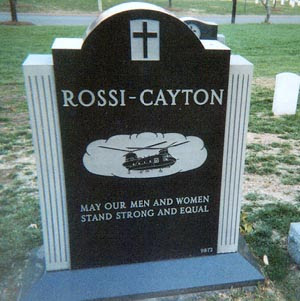 Every citizen derives benefit from the availability of a helicopter ambulance - in the same way that every citizen derives benefit from law-enforcement and public-education. This aircraft was purchased by Monroe County from Geisinger Life Flight. RESOLUTION NO. 1$2 2009 RESOLUTION OF THE BOARD OF COUNTY COMMISSIONERS OF MONROE COUNTY, FLORIDA, ADOFiTING A FEE WAIVER POLICY AND PROCESS FOR TRAUMA STAR BILLING FOR TRAUMA SCENE AND CRITICAL CARE INTERFACILITY FLIGHTS. Section I. The following policy is hereby established with respect to Trauma Star. A. The County will continue to seek reimbursement from third-party payers, including but not limited to liability insurance, automobile insurance, health care insurance, Medicare, and Medicaid, to offset a portion ofTrauma Star's operational costs. B. For qualifying individuals, the County Commission will eventually write off any and all balances remaining after receipt of third party payments, even in cases when the qualifying individual does not have any third party insurance. C. The waiver of out-of-pocket expenses is made effective retroactive to November 4, 2008, the date of passage of the voter referendum. D. Write-offs of out-of-pocket expenses will be completed by annual resolution of the Board of County Commissioners. Section 2. Administrative Waiver Qualification. To be eligible for a waiver of service fees, the qualifying individual and the air ambulance transport must meet all of the following criteria: A. The waiver includes the cost of trauma scene flights and critical care interfacility flights. B. The patient must be a qualifying resident as defined in Section 3 below. C. The individual transported must not have been injured while involved in the commission of felony criminal activity. Section 3. Resident Qualification. The waiver process requires qualification as a resident and submission of documentation by the person seeking the waiver: A. A qualifying individual is a resident who defined as either of the following: I. Any property owner, or immediate member of his or her household, who is current in paying property taxes in Monroe County, including the Trauma Star tax. For the purposes of this paragraph, the term "property tax" includes the tax on real and personal property authorized by Monroe County Ordinance 030-2008. For the purposes of this paragraph,. The term "immediate member of his or her household" means (a) residing at the same address as the property owner, and (b) son, daughter, father, mother, brother, sister, mother-in-law, father-in-law, uncle, aunt, nephew, niece, brother-in-law, sister-in-law, stepfather, stepmother, stepdaughter, stepson, half brother, half sister, grandchild, or domestic partner. 2. A resident of Monroe County, or immediate member of his or her household, who rents property subject to the Trauma Star tax. For the purpose of this paragraph, the term "immediate member of his or her household" means (a) residing at the same address as the property owner, and (b) son, daughter, father, mother, brother, sister, mother-in-law, father-in-law, uncle, aunt, nephew, niece, brother-in-law, sister-in-law, stepfather, stepmother, stepdaughter, stepson, half brother, half sister, grandchild, or domestic partner. B. C. D. Section4. A. B. Section 5. A non-qualifying individual is any individual who does not contribute towards the financing of the Trauma Star service, such f!S visitors and part-time or seasonal residents, and all others who do not meet tl).e criteria in section 3 .A. The billing company will continue to proc~ss billing as in current practice, but will provide a waiver request form in the billing package. To be considered for the write-off or waiver of out-of-pocket expenses, the patient is required to show documentation to prove that the property oWner has paid all applicable property taxes, including any Trauma Star tax beginhing on November 1, 2009, and that the qualifying individual meets the other r11quirements as set forth in Section 3.A., above. The qualifying individual must submit proof of qualification to the billing company for review and validation. Documents to substantiate qualification must include a copy of the property tax bill showing that all taxes, including the Trauma Star tax, have been paid and are current. In addition, to qualify under Section 3.A.l., an individual must provide a copy of a current Monroe County driver's license showing residency at the address held by the property owner. To qualify under Section 3.A.2, an individual must provide a copy of a long-term lease and/or utility bills at the address held by the property owner. Residents who have met the waiver requirements, as documented by the billing company, will not be invoiced during the time that the billing company continues to seek third party payments and while pending the BOCC approval of the writeoff. Other Providers Excluded. 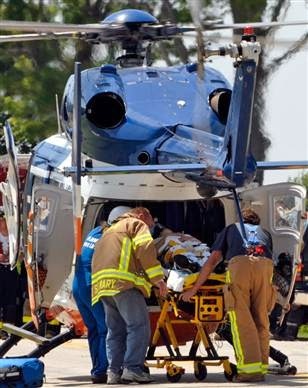 The fee waiver program is not applicable to any other transport provided by any other helicopter provider, even in the event Trauma Star is out of service or unavailable. The County does not subsidize the operations of other providers, and the County is not responsible for any fees incurred by residents from other providers' services. The Clerk is directed to send a copy of this Resolution to the Monroe County Sheriff. HEMS Or HAA-O... What's It Gonna Be? 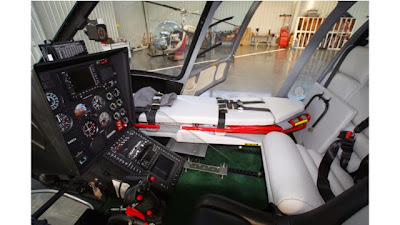 "The term Emergency Medical Service/Helicopter (EMS/H or HEMS) is obsolete. 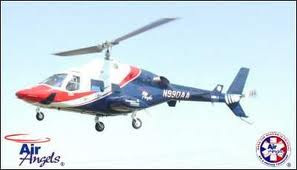 It is being replaced with HAA because, though a critical life and death medical emergency may exist, air ambulance flights are not operated as an emergency. Pilots and operator management personnel should not make flight decisions based on the condition of the patient, but rather upon the safety of the flight." Several thoughts come to mind as I read this. First, history names things, like industries or aircraft, not officials. It probably disappointed someone at Bell Helicopter that no one wanted to call their new turbine helicopter - the UH-1 (or HU1) - an "Iroquois." But no one did. It quickly became and will forever be the "Huey." The next thing that comes to mind is how little the writer(s) of the AC understand of our business. But that's not surprising. In almost 17 year of flying patients in helicopter ambulances, I have never once heard of an FAA inspector accompanying a crew on a patient transport. Feds are paperwork guys, at least where we are concerned. They fly along on Delta, and they should probably ride along on some flights with us. We aren't all restricted to one skinny patient - yet. The AC writer's assumption is that by removing the word "emergency" from our name for ourselves, we will remove some of the urgency that they think we feel when faced with a "mission." (Another word to be stricken from our lexicon). In other words, lets change our name and remove a source of pressure to complete flights. Well, newsflash. Most medcrew can extinguish a pilot's hero-light in short order. And the smart ones do. We don't crash aircraft because we feel pressured to go get little Johnny from the accident scene. It's not that simple. Mind you, our job will never be like flying an airliner with passengers or cargo on board. When someone is getting chest compressions 8 inches away from me, I can't ignore it. No matter what we call this, this is no taxi service. People tend to act out of self-interest, and a desire to earn wealth. Understand that and you can drill down to the human (risk) factors. What does make us crash, statistically speaking, is a lack of proficiency at our craft as pilots, and poor decision-making skills. To a large extent, those problems could be trained out of us. More line-oriented-flight-training (LOFT), more time in simulators, more scenario-based training, these are the things that could prevent crashes. And that LOFT and SBT should include medcrew! You can get the script for SBT from accident reports. Paint an entire team into a corner, and let them practice getting out of it. In military units, teams "train as they will fight." We should do this as well - we should train as we will work." Yes, that would cost real money; In an era of hundred million dollar awards it will be a bargain. There is one form of pressure the FAA and the industry could revisit - the pressure for volume. In many companies, there is constant pressure from management to complete more flights. That pressure is at once understandable, and hazardous, and it has not one thing to do with worrying about a patient; or what our name is. If the crew at a community base doesn't fly enough sick people, the operator closes the base. HAA is hard to say, and HAA-O(perations) doesn't sound right. Like Our Blog? 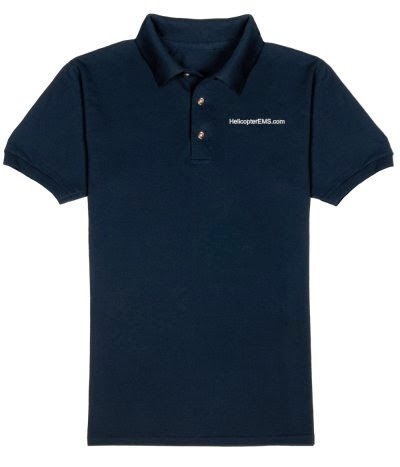 Let People Know... Polos available. Lafayette-based helicopter company PHI Inc. reported that gains in its air medical and technical services divisions offset a drop in its oil-and-gas business during the first quarter. 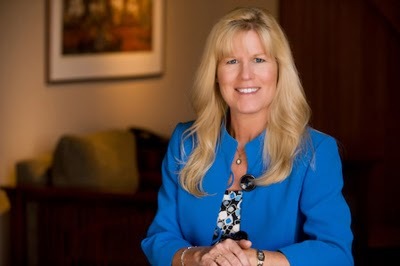 Eveline Bisson has been appointed as Director of Transport Business Services for Metro Aviation, a new position that will allow HEMS customers to consult with a Metro resource to improve their internal business practices, both clinically and financially. 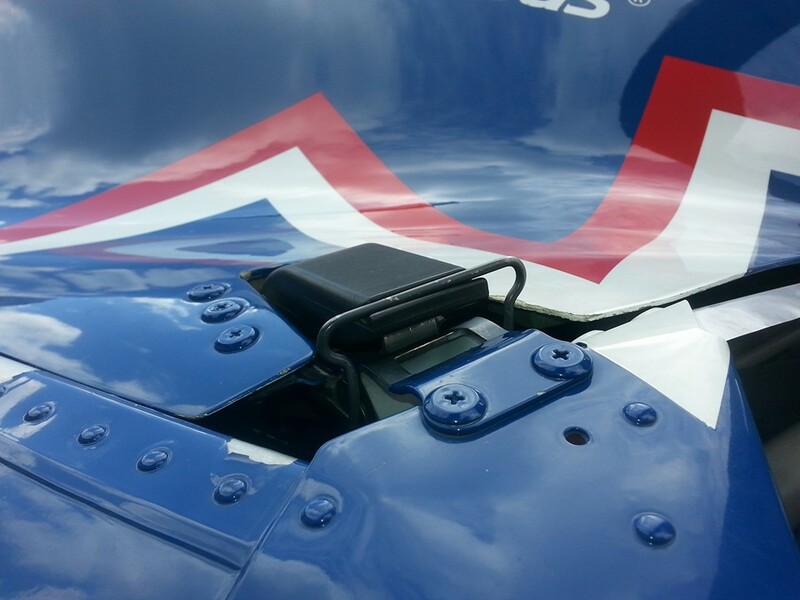 Helicopter Specialties - located in Janesville, Wisconsin and providing maintenance, repair, and overhaul services to customers worldwide - has received a Supplemental Type Certificate (STC) by the Federal Aviation Administration (FAA) for the installation of a Lifeport, Inc. MedDeck Litter Kit in the Enstrom 480B rotorcraft. The PMA Kit requires minimal modification to the aircraft and can be installed by us or shipped to any location in the world. The first two installations were performed for a customer in Argentina. 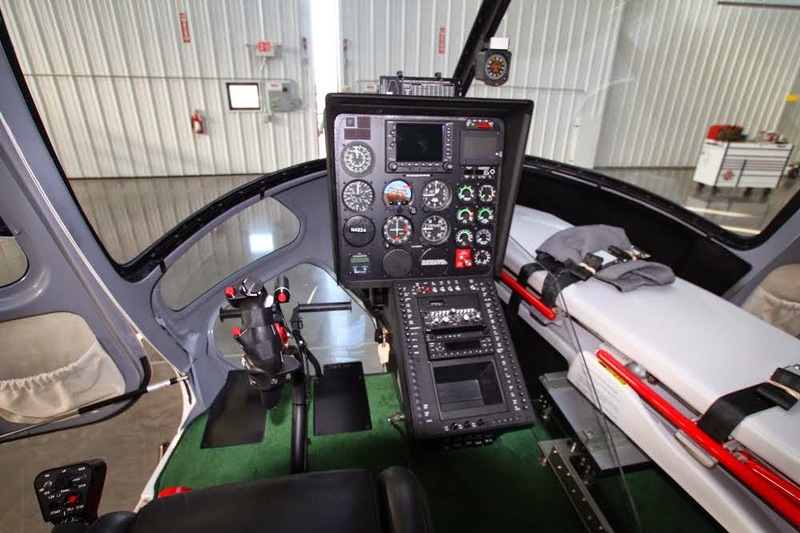 The ease of installation and removal of this kit will allow you to add multimission capability to your Enstrom 480B. Med Trans pushing into huge new marketplace... click here. It's that time of year again, when HEMS crews are sent out to area schools for Prom Promises, Career days, and end of school-year parties. When we arrive in helicopters and our uniforms, we make an impression. Kids are interested for a few minutes, we have chance to teach them something. The following comments resonated with children and teachers. If you like, make something like this part of your presentation. "Boys and girls - I want to share one last thing with you before you go. We've enjoyed being with you today, and hope you have a great summer. As you look at our helicopter, know that every aircraft is subject to four forces in flight. These four forces combine and result in the helicopter going in the direction we want it to: to pick up someone who needs our help. Those forces are; lift - created by the spinning rotor system, weight - the effect of gravity trying to pull us down, thrust, the force that pushes us forward, and drag - at high speeds the air slows us down. Everything that flies is subject to these four forces. Okay kids - I want you to know that "Ashley" is subject to those same four forces, in life! And so is each of you! Lift is that part of you that can learn new things, you can rise up tomorrow above where you are today because you have good brains. You can learn anything - as a matter of fact you can understand the words that I am speaking because as an infant you learned the English language. And that is something that is very hard to do. But you did it - one word at a time. Remember, you can learn anything if you really want to and you don't give up. Weight is the force, like gravity pulling us to earth, that tries to keep you down. It is fear inside of you that you aren't good enough, that you aren't smart enough. Gravity is self -doubt but your lift can overcome it -just like that helicopter's rotor system will overcome it in a few minutes. Thrust is your teachers, your parents, the people who care for you, pushing you forward. There are people who want you to succeed. Don't make their job harder. Listen to them, respect them, appreciate them. They thrust you toward a bright future. We are here today to help thrust you forward in life. Drag is what slows the helicopter down. We do everything we can to eliminate drag. Some helicopters have wheels that go up into the belly of the aircraft to cut drag. The shape of the fuselage (the body) is designed to cut drag. There is drag in your life too. "Drag" is the people around you who try and hold you back. Maybe they are afraid of trying, and they want to make you afraid too. Maybe they want you to do things you should not, things that you know are wrong. Think about the people you hang around with, and if they are a source of drag, why not stay away from them. Drag prevents moving forward. Drag works against thrust. Stick with the thrust - drop the drag. Okay, that's probably enough preaching. By the way... can a girl grow up and fly helicopters? A couple of years ago Jeanne and I went on a Smooth Jazz Cruise for a week. We had a great time going to the big shows each night, hanging with cool people, and soaking up the tropical vibe. The best part of the ride took place the night before we stopped in Key West. 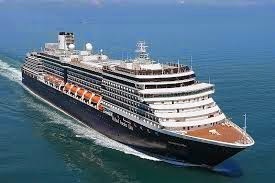 We went to the early evening show in which Marcus Miller did things with a bass guitar that were mind and eardrum blowing, and were then walking back toward our stateroom. We passed by a small, almost empty piano bar and I suggested we stop in for a drink. The room was dark, and the ship's piano player was tickling the ivories. I stood there for a minute and as my eyes adjusted I noticed Jonathan Butler - one of the featured musicians on board - sitting at a table with his family. 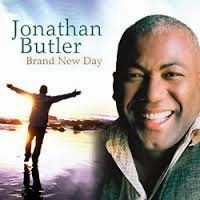 "Hey Jeanne, that's Jonathan Butler. Let's sit at the piano for minute..."
I sat down and exchanged pleasantries with the piano player, an older fellow with a slightly tired grin and a vast talent, and we ordered drinks. After a few minutes, in this dark little empty space, J.B. got up from his table and walked over to the piano. Now I don't know what your favorite music is, but imagine if you had the chance to sit in a dark bar with the people who make it, and listen to them talk, and play for each other. We sat there quietly and took it in - loving every minute of it. Then it happened. Someone from across the piano didn't recognize us and asked "what do you do?" "Wow." "Cool man." "That must be really something..." We were made to feel welcome, and J.B. played Jeanne a love song for her birthday. 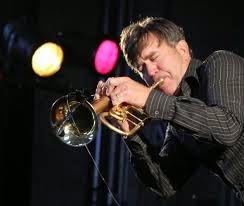 J.B. and Rick Braun jammed into a couple of songs, and then the others took turns performing, and it was a really good time... A once in a lifetime kind of thing. And Jeanne and I were welcomed because of what we do. She takes care of sick people and I fly. We don't check for insurance before flying someone, and some people don't pay anything - that money is lost. We also don't get paid for airborne standby flights that get cancelled. Or lots of other community services we provide. But obviously there is money to be made because the number of EMS helicopters has exploded in just over a decade. "No ma'am that will not settle your account. Do you think you might get your church to have a fund-raiser? Or perhaps you could have your husband come out of retirement and get another job..."
This actually happened. The thing that makes it so wrong is that if this patient had been a Medicare beneficiary, thanks to "assignment," whatever Medicare had paid would have amounted to 80% of the total allowable charge, and this woman's obligation would been only 20% of that allowable amount. And the company would have been satisfied. But she wasn't under Medicare and was stuck. But if the companies don't cotton to the fact that one aw-crap wipes out a thousand atta-boys, and use some common sense regarding business development and utilization-review, the friendly folks in government are going to start getting irate emails and phone calls and in addition to not getting paid there will be hell to pay. May wiser heads prevail.To prevent stories like this..
"if you think training costs too much money, let me assure you, that expense will pale in comparison to the cost of an accident." I’ve noticed that when we talk about training in our industry, we tend to focus on the pilots. Don’t get me wrong, pilot training is a cornerstone of HAI’s safety initiatives. A pilot is the final safety gate for all flights, shouldering the ultimate responsibility for the safety of crew, passengers, and aircraft. While we recognize the benefits of pilot training, it is shortsighted to think that training belongs only in the cockpit. For example, maintenance staff are absolutely critical to achieving safe and successful operations, yet their training often does not receive the same attention as that for pilots. We should look at training and development for every staff member, including flight crews, maintenance technicians, flight dispatchers, aircraft schedulers, administrative support, and management, as well as pilots. This approach is aligned with the principles of safety management systems (SMS). First, safety and operational performance are linked: when you improve one, you improve the other. Increased safety and performance in turn affect the financial viability of your organization. Second, all staff members are key to the success of an organization’s safety program. While pilots are the final safety gate, we now recognize that each staff member contributes to a safe flight. Accordingly, training should be developed and implemented for all staff members of an organization, from the entry-level employee up to and including the executive management and owner. At a minimum, all staff members of a business should be schooled in that organization’s mission, policies, and procedures. This may seem too basic to mention, but this foundation is necessary for everyone to work in a coordinated, interdependent, and supportive manner. Unless you have a payroll of one, every business depends on the teamwork of various departments and specialists working together. Subsequent training would focus on individuals’ specific duties, the technical requirements of their positions, and how they can contribute to their own safety and that of their co-workers and customers. When you step back and look at how each individual contributes to the success of the operation, the value of a structured training program for each individual becomes apparent. When assessing training needs for your organization, don’t forget to look in the mirror. Owners, executives, and management personnel all need to be involved in professional development programs too. This may shock some, but even I do not know all things and need training. In building your professional development program, you’ll have many choices. But I urge you to always train to a higher level, beyond the minimum legal and regulatory requirements. Train your personnel to conduct their responsibilities as though every detail matters — because in our industry, it does. Just as we have initial and recurrent training for pilots, you should consider the life cycle of professional development for all employees. Training isn’t just a box to check off — many employees will benefit from periodic refresher or advanced courses. The benefits of a well-developed, comprehensive training program are many. The most notable are the prevention of accidents, injuries, and death. However, both commercial and general aviation / private operations can also reap enhanced operational efficiencies that will translate into improved financial performance. Commercial operators should realize retention and expansion of the customer base. Some of you may put off training because of cost concerns. This is understandable. My readers who maintain an aircraft for personal use have already sunk considerable sums into their passion. And for business owners, the financial health of their operation is always top of mind. However, if you think training costs too much money, let me assure you, that expense will pale in comparison to the cost of an accident. To really analyze training costs, you should also look at how much you are losing because of operational inefficiencies, not to mention the revenue lost to your competitors. Well-trained, safety-oriented employees have the best chance to produce the safest, most efficient operations. There is a solid business case for training, and it’s time for us all to get on board. As always, fly safe — fly neighborly. Denver, May 4, 2015 – Air Methods Corporation (NASDAQ: AIRM), the global leader in air medical transportation, announced today that it is entering into a preferred provider relationship with Bayfront Health and its Bayflite air medical transport program. Under the new preferred provider arrangement, Air Methods will provide program management, aviation, fuel, maintenance, aircraft, dispatch, billing and EMS licensure for the three Bayflite bases located in North Port (Sarasota County), Tampa (Hillsborough County) and Brooksville (Hernando County), Fla. Each base is staffed with 20 highly-trained Air Methods professionals, including flight nurses, flight paramedics, mechanics and pilots, in service 24 hours a day, seven days a week. In addition, the program will continue to operate as Bayflite. The transition will be completed within an estimated 60 days, once the required County licenses have been transferred. The Helicopter Flight Training Center, a world-class facility for pilot and maintenance training, recently introduced the revolutionary new CommLab. The simulation lab is the first and only of its kind for air medical communication specialists and dispatchers. 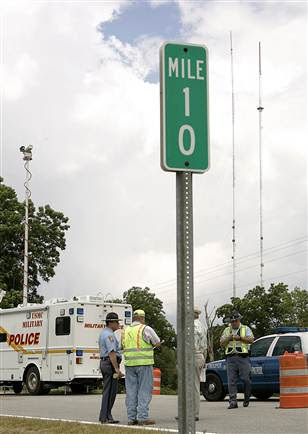 Training the communication team is part of the safety plan recommended by the NTSB and aviation insurance industry. Industry leaders have come together showing that there is no competition when it comes to Safety. Through a partnership with the leading industry vendors, Flight Vector, Golden Hour, HSI, Xybix and Zoll, the two-day course provides state-of-the art training for communication specialists as they navigate a variety of scenarios. Class participants train for inter-facility and scene transfers, multiple aircraft requests, change of landing zones and more. The communication professionals also interface in real time with pilots conducting simulator training at the training center. Upcoming dates are May 18 to 19 and June 22 to 23. Courtesy Terry Palmer, Metro Aviation. CommLab at the Helicopter Flight Training Center from Metro Aviation on Vimeo. 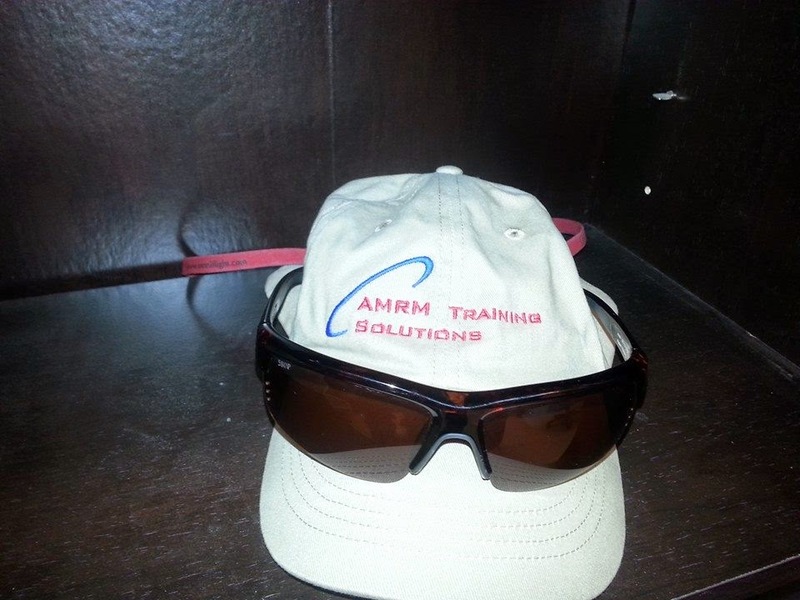 "everyone who viewed the video of the AMRM training session enjoyed it and found it useful. It was well received all around. I've spoken with Eric (our director), and he's in agreement with me that this kind of training would be beneficial for us on an annual basis. I'd like to invite you back next year,"
I travel to flight programs and present Air Medical Resource Management Training. 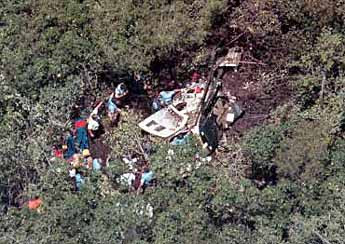 This started after a friend crashed and killed himself - which was a tragedy - and his crew, which was a spur to action. 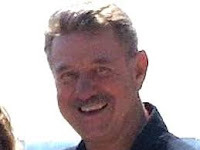 If your flight program is subject to human factors and human errors, and you would like to help prevent same - contact me. I will never make much money with this, but money isn't why I do it. I have spent time with hundreds, perhaps thousands of folks. Not one of them has come to harm in a helicopter. As a self-check against "invulnerability," I roll memories of mistakes around in my head from time to time. This keeps me honest, and alive. When I think about tower-strikes, I remember a rainy, foggy night in the Midwest when I was the pilot-in-command of an MH-47 Chinook. I was in the lead aircraft, recovering to a military airfield in deteriorating weather under NVGs. My copilot and I decided that we should get a clearance to fly on instruments, and fly an instrument approach to the airport; because conditions had deteriorated to the point that we could barely see the ground three hundred feet below us, and the view out front looked like the inside of a bright green ping-pong ball. No sooner had we committed to instrument flight and begun a climb than the chip light for our number-two engine illuminated. The emergency procedure required me to shut down the engine; in the clouds while climbing. 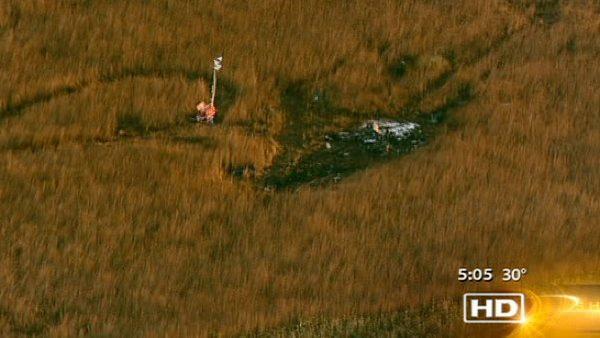 Luckily the engines on that aircraft were robust, and we could climb on one motor at several hundred feet a minute. As this was transpiring, I noticed a flashing light off the nose, penetrating the clouds, visible because it was red, and goggles respond well to red lights. In a few seconds we passed over the light, continued to climb, and in due time got a clearance and shot our approach. This memory comes to me at night and makes me cringe. Because what I never even considered that night was that the flashing light I was seeing might not have been mounted on the top of the tower. If it hadn't been, I would not be writing this. 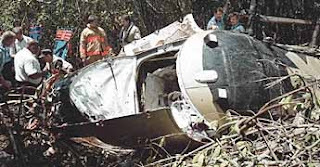 On April 25, 2000, at 1216 eastern daylight time, a Eurocopter BK117, N428MB, operating as Bayflite-3, collided with a radio transmission tower located on the Weedon Island State Preserve in St. Petersburg, Florida. The air medical flight, Bayflite-3, was operated by Rocky Mountain Helicopters under the provisions of Title 14 CFR Part 91 positioning flight with no flight plan filed. Visual weather conditions prevailed at the time of the accident. 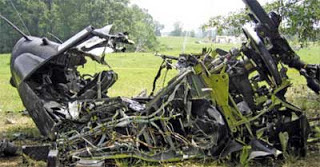 The medical evacuation helicopter was destroyed; the commercial pilot and his passengers were fatally injured. The local flight departed Bayfront Medical Center, in St. Petersburg, Florida, at 1212, and was en route to the Bayflite operations at St. Joseph Hospital in Tampa, Florida. This humorous anecdote was written into law with this change to HEMS/HAA-O requirements. We can and should know the location of the taller obstacles in our operating area. In unfamiliar terrain, the hand-held map (or nav-display) is key to situational awareness, and I don't mean just a glance during preflight while noting the highest obstacle. When the medical crew is not attending to a patient, they can be a big help with the task of finding towers on the map and pointing them out. In the helicopter business, we should think about towers every step of the way. We should never assume that we are safe. (Best Practice) When I am flying to an accident scene, and the destination's geographical coordinates change. The communication center relays these new numbers to me and I have to put my head down and re-enter the information into my GPS. So for twenty or thirty seconds I am not looking where I am flying. I announce "I'm inside." I expect a crewmember to state, "I'm outside." In another instance, two Warrant Officers assigned to my battalion were flying in southeast Georgia. Like me years earlier, they encountered instrument conditions while flying under visual flight rules (VFR). They talked about what to do and had decided to climb and get a clearance when they hit a tower. 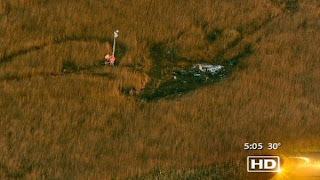 Sidebar: I have had some near misses, but the lone survivor from this particular crash must be the luckiest helicopter pilot alive. The aircraft tore itself into two pieces, and somehow, from around 1000 feet up in the air, the cockpit section descended at a rate that allowed this lucky soul to live, perhaps in a sort of pseudo-autorotation. One guy lived, a fellow sitting a few inches away died. We hit towers due to complacency, coupled with a lack of situational awareness. The S.A. chore is made much more difficult at night, and NVGs won't always help. Towers are sometimes illuminated with lights in the blue-green spectrum that NVGs don't respond to. So in that case, having someone looking where we are going unaided might save the night. Towers less than 200 hundred feet tall aren't even required to be lit, and they are EVERYWHERE.